Essex First Selectman Norm Needleman. 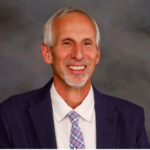 AREAWIDE — Essex First Selectman Norm Needleman has been nominated as the Democratic Party State Senate candidate for the 33rd District. Delegates from Democratic Town Committees in the 12 towns comprising the 33rd District met on Monday, May 21, at the Gelston House in East Haddam to select a candidate. Needleman was nominated by acclimation on the first ballot. Needleman’s nomination was seconded by two prominent Democrats from the district: Emily Bjornberg, 2014 nominee for the 33rd State Senate Seat, and Stacia Libby, four-term Selectman in Essex. Needleman has 20 years of public service experience in Essex, including four terms as First Selectman. During his tenure as First Selectman, he led economic development initiatives that made Essex home to over 700 businesses. He balanced budgets and made infrastructure improvements while maintaining one of the lowest property tax rates in the state. Needleman is the founder and CEO of Tower Laboratories, a manufacturing company employing 150 people, located in Essex. His two sons co-manage the company with him. He lives in Essex with his partner, Jacqueline Hubbard, Executive Director of the Ivoryton Playhouse. The 33rd State Senate District consists of the towns of Chester, Clinton, Colchester, Deep River, East Haddam, East Hampton, Essex, Haddam, Lyme, Portland, Westbrook, and a portion of Old Saybrook. For further information, contact Campaign Manager Ed Tedeschi at et@edted.com or (917) 734-9460.